From the Drycleaning and Laundry Institute. Laundry is a chore that must be done one way or another. Unfortunately many people haven’t read the manuals for their home laundry machines and have inherited some bad habits that have been passed down from generation to generation. Here are some common mistakes you can avoid to get your clothes their cleanest so they’ll make you look your best. Many people despise doing laundry, but not us! Why not let us do it for you? 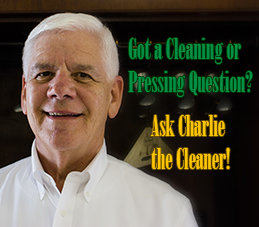 This common mistake leads to poor cleaning performance, more wrinkles, and excessive wear on garments. Dirt and soil from some garments can become redeposited in others, dulling vibrant colors and giving a dingy look to whites. This can cause problems with dyes bleeding onto other garments. Detergents are more active in higher temperatures and will get your clothes cleaner. It takes longer to dry and lightweight or delicate fabrics get over-dried, resulting in permanent wrinkles in heat sensitive fabrics. Drying is just as important as washing, and though many of us simply toss the wet clothing into the dryer, there are ways to improve your look and protect your wardrobe. 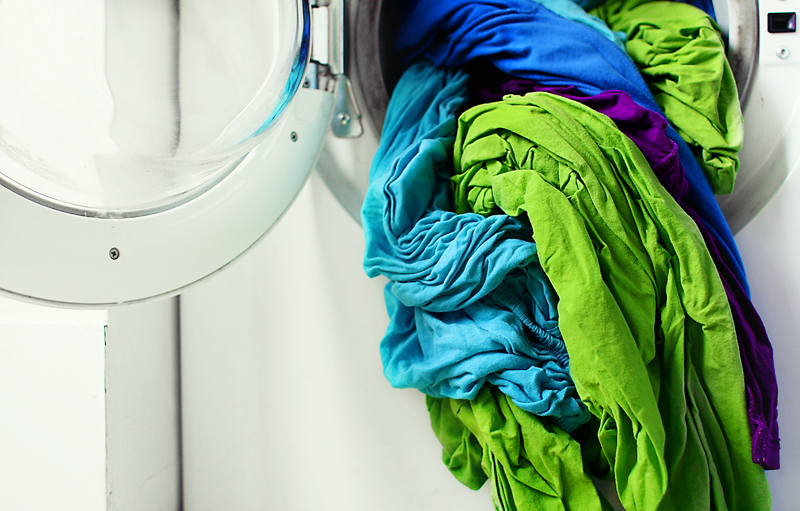 When it comes time to dry your next load, try following these easy steps to get less wrinkles, shorter drying times, and safer drying. Sort by fiber content and weight: Heavier garments might require more heat and time than light garments. To get the most out of your machine, and your time, sort loads accordingly. Do not overload dryer: Overloading causes more wrinkles and longer drying times. It can also overburden your dryer and shorten its life. Select drying temperature by fiber content: Some fibers, such as polyesters and acrylics, will be damaged by too much heat. When in doubt, it is best to dry on low heat and air dry to finish. Fold or hang garments immediately after drying: This helps ward off wrinkles and keep your clothes looking fresh. This can also help garments dry out if there is any water remaining after the cycle. Q: How do you remove grass stains? A: Most grass stains can be removed by simply washing the item according to the care instructions, especially if the stain is fresh. But if the stain has been allowed to set or proves to be difficult to remove, you may need to try other treatments. Treat the stain as soon as possible, using a pretreatment product from your local grocery store. Test the product for colorfastness by applying to an unexposed area. Let stand for five minutes, then rinse. If the color is affected, don’t use the product. Also check the label on your laundry detergent for pre-treatment instructions. To remove any last traces of the stain, an all-fabric bleach may be necessary. Again, remember to test for colorfastness. Bleach the entire garment following the manufacturer’s instructions, then launder as usual. Q: How do you clean sleeping bags? A: Sleeping bags can usually be washed, but because many contain down or fiber filling, you should always check the care instructions before cleaning. Sleeping bags should be washed separately on a gentle cycle. Add detergent to the washer and partially fill with warm water. Submerge the sleeping bag in the water to expel air, then allow the washer to finish filling. Periodically stop the washer, open the lid, and press air from the sleeping bag to help ensure good cleaning. Tumble dry at regular temperatures. You may try adding a clean tennis ball to the dryer to fluff up the filling. If you find the sleeping bag to be too bulky for a home washing machine, you may try taking it to your cleaner for professional cleaning.